Here's how to crack the plastic food container code. Plastic food storage containers are tricky. They’re super convenient for storing leftovers, takeout Thai noodles, or your kid’s lunch... but are they safe? Luckily, the bottoms of most plastic containers include safety information to give you peace of mind. That's great, but only if you can interpret the mysterious symbols peppering the bottom of your container, be it Tupperware or any other brand. With that in mind, we took a field trip to the office kitchen and examined a slew of abandoned plastic lunch containers. Some of them got right to the point, declaring themselves “Dishwasher Safe” or “Microwave Safe” in bold print. Others were more cryptic, covered in squiggly lines and snowflake icons. There, in the bright light of the kitchen, we peered at them like archaeologists trying to decipher markings on a cave wall. What was Rubbermaid trying to tell us? And would dressing up like Indiana Jones help us figure it out? All jokes aside, it turns out that those little symbols fall into two major categories: safe use instructions and recycling information. First things first: Is your container safe to store food in at all? 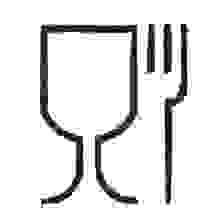 If you’re not sure, check the bottom for a little cup and fork design. This means the container is approved for use with food. Sometimes the container will simply state "food safe," which is also a dead giveaway. Squiggly lines indicate that your container is microwave safe. 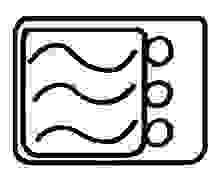 This symbol can vary a lot, sometimes showing an image of a microwave, or sometimes a dish set below radiation waves, but the squiggly lines are a constant. Squiggly lines mean you can reheat that sucker with ease. They are not, as previous archaeological minds have believed, a cute illustration of your microwave sitting at the bottom of the ocean. 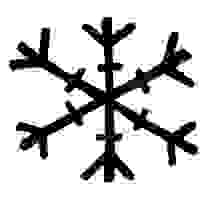 Is your plastic container dotted with a snowflake symbol or two? This means it’s safe to stow your container in the freezer—a godsend when you’ve made a delicious pot of stew and want to keep it around for later consumption. Congrats, you! Good job purchasing a handy freezer safe storage option. Pat yourself on the back. The dishwasher safe symbol is the trickiest and most nuanced of the bunch, but it’s important to decode for the sake of pure convenience. The design can take many different forms, but all involve an image of dishes being sprayed with water. Typically, if the image shows a dish or dishes being struck from above by lines of water, the container may only be safe to wash on the top rack. Sometimes this image also includes a temperature limit to help clarify things. 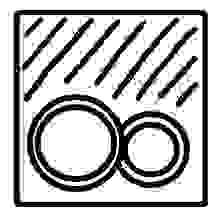 However, if your symbol just shows water drops on a cup or plate, it’s probably safe to wash on either the top or bottom rack. 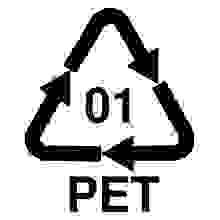 Most folks are familiar with the triangular recycling symbol, but did you know that the number in the center of the triangle provides information about the specific type of plastic your container is made of? There are other factors that go into making a container safe for various uses, but this number is a good starting point if you’re nervous about certain types of plastic. All of the plastic food containers that we examined in our kitchen were branded with the number 5, which means they’re made of PP, or polypropylene. That’s a cloudy plastic generally considered to be food safe. 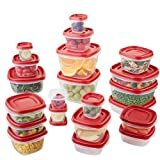 If you’re curious about the other numbers, which range from 1 to 7, Tupperware has a handy chart. At the end of the day, not every plastic container will have the symbols you’re looking for, and there’s still considerable debate as to whether plastic is food safe in general. We’d urge you to heed manufacturer warnings, but also heed your own comfort level. And if you don’t recognize a symbol on your containers, check the manufacturer’s website for more details. This article was originally published in 2015. It has since been updated to include new images, information, and product recommendations.